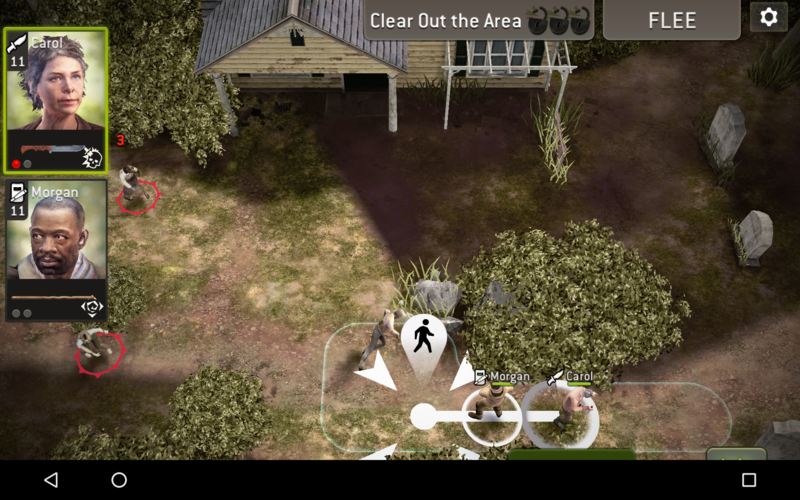 If there is a small transition with only one space width, it´s not possible for my survivors to pass if there is a survivor in front of the other. So far so logical. But how comes that freemen and walkers are able to pass if the first enemy in the line is stunned? Noticed that some times before and again in this challenge on the map opposite (...), the map with the freemen and the walker cage. At the bottom of the map I stunned the first freeman and the second one just moved magically through the first one and attacked me. How comes we´re dealing with two different versions of physical logic? I believe you can, it does cost a half step xtra. So maybe bug then, you should be able. You mean that it makes you go around or you cannot go through your survivor or go around? I mean through...there wasn´t enough space to move around. But in a different round on the same map, a freeman was able to move through a stunned freeman. @Invader it depends if something else is blocking the entry way. It would be helpful if you have a picture of the lay out. I understand. Where you couldn't go due to walkers blocking, freemen and walkers walk right through them. It happens pretty often to me also.